KONG. The best durable dog toys. 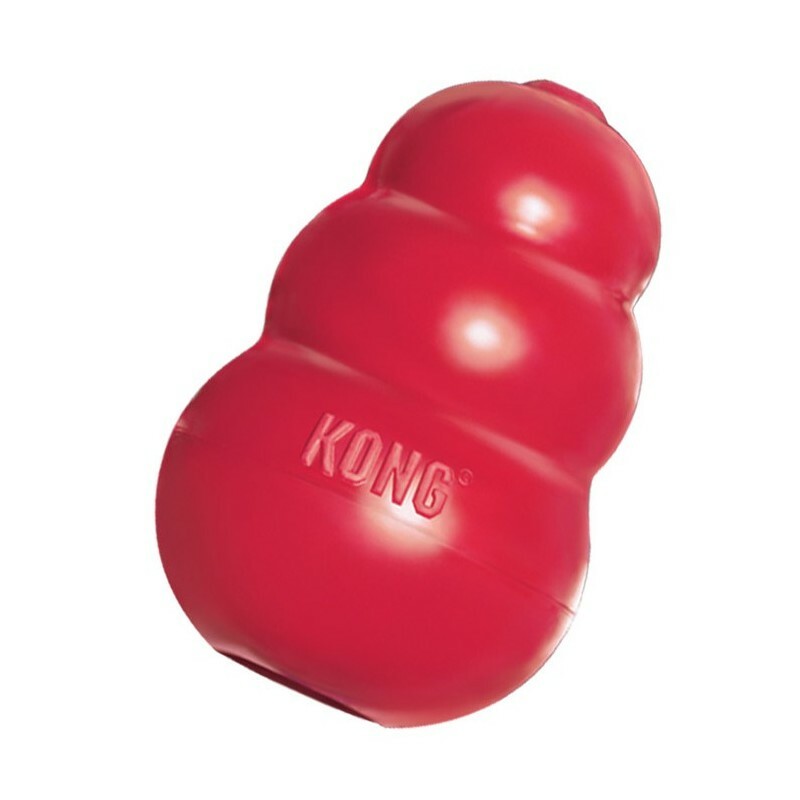 Toy suitable for dogs between 27 - 41kg and are moderate chewers. Toy suitable for dogs between 27 - 41kg and are moderate chewers. 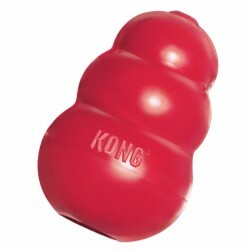 these kongs are great. 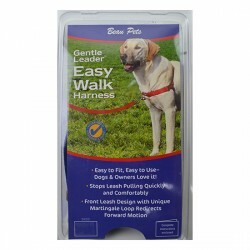 They're durable enough for the roughest of dogs. You can stuff numerous treats to entertainment for quite a while. In hotter weather we combine different treats with mince, fill the kong and place it in the freezer. When they're empty they can be thrown or bounced, as another way to entertain your best friend. We've tried a number of ways to slow down our kelpie cross when it comes to eating. We tried special bowls but she still managed to inhale her food. Using the kong tightly stuffed with her dry food seems to finally be the answer !! She enjoys the challenge and is now eating much more slowly.